Where has all the fun gone? With the launch of the first ever KD Fun Shop, Kraft Dinner is on a mission to get Canadian’s back to their fun-loving selves. Visit the Fun Shop this week on Granville Square, 200 Granville Street, right by Waterfront Station — you can’t miss it – from July 23-25, 7am-7pm. 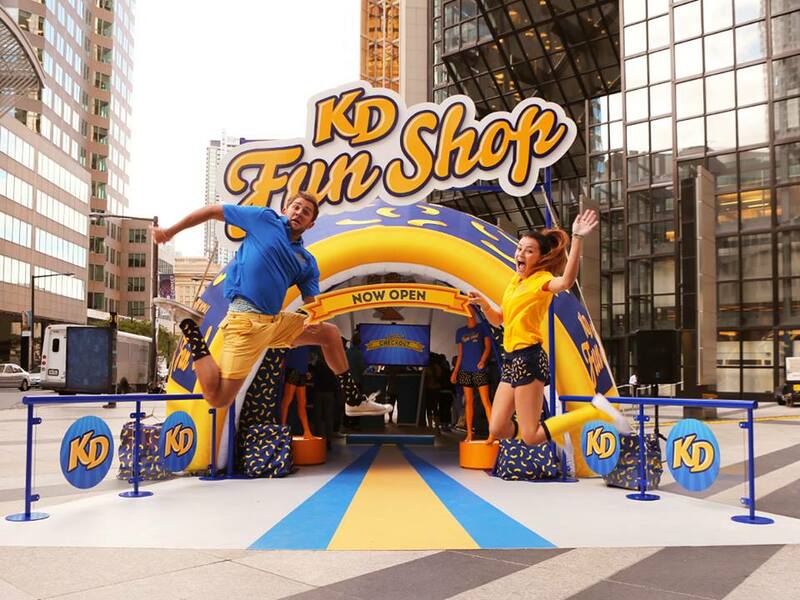 Giving Canadians fun on the run, the KD Fun Kiosks will surprise shoppers outside places like transit stops, dry cleaners, and more where they’ll let people trade fun for actual goods and services. These roving kiosks will move around, surprising passersby in Toronto, Montreal, and Vancouver injecting some needed fun in their day. Hello Vancity wants to get in on the fun by giving away an $100 value gift basket—complete with lots of Kraft Dinner and an assortment of one-of-a-kind gifts! Can’t wait to see them tomorrow! FUN WITH KD! Brings back memories from my college years! Hope to check it out on Thursday! KD, my food growing up. Love it! Yummy KD. Nom. Need to get me some of that! This looks great. I’d love to win this prize pack! Thanks! We love KD in our house! how fun is this Bring back KD lunches in my youth! Haven’t had KD since i was a kid! I love Kraft Dinner and have it at least once a week! I will let my fun out if I do win! KD for the win. I love it! Thanks so much for the tasty giveaway! Love KD, thanks for the chance! LOVE KD! YUMM! Thanks for the giveaway! YUMMY……..gotta have my KD! thanks for the giveaway!